You will be delighted with the delicacy of Pure Lemon Extract, and its true fruit flavor. It will add a mouth watering extra zip of flavor to your muffins, cookies, cakes, rice puddings, and a must-try on flaming ice cream sundaes! 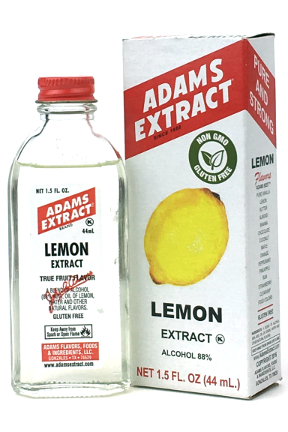 Ingredients: a bend of alcohol (88% ABV), oil of lemon, water and other natural flavors.